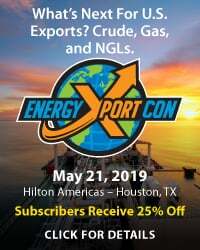 The U.S. started exporting ethane by ship less than three years ago, first out of Energy Transfer’s Marcus Hook terminal near Philadelphia and then from Enterprise Products Partners’ Morgan’s Point facility along the Houston Ship Channel. Good news for NGL producers, right? Well yes, sort of. 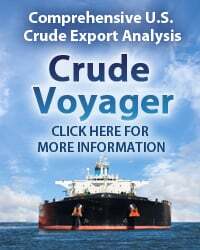 Because while waterborne export volumes rose through 2016, 2017 and the first seven months of last year, they’ve been flat-to-declining ever since, with further ethane-export growth hampered primarily by a lack of international demand. That demand may soon be ratcheting up — mostly in China, but also in Europe — but it won’t happen overnight. Today, we discuss ethane export trends, the Morgan’s Point and Marcus Hook marine facilities, and plans for new ethane export capacity tied directly to new overseas ethane crackers. 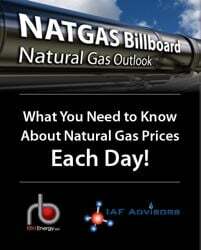 U.S. NGL production, NGL fractionation, and the market for NGL purity products (ethane, propane, normal butane, isobutane and natural gasoline) have been frequent topics in the RBN blogosphere the past few months. 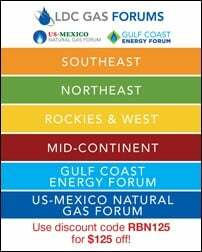 Back in September, in Hotel Fractionation, we discussed how, with the production of mixed NGLs (aka y-grade) soaring, fractionators at the NGL hub in Mont Belvieu, TX — and elsewhere in Texas and in Louisiana — are running at or near capacity, and that a scramble is on to build new fractionation capacity. Then, in Seasons Change (in December), we looked at what caused most purity-product prices to dive in October and November (one factor was the sharp decline in crude oil prices). And, in our four-part series, Between Mont Belvieu and the Deep Blue Sea, we examined rising U.S. exports of propane and normal butane — the two purity products generally referred to as LPG — and the LPG export facilities in place and being planned to handle those rising volumes. Today, we shift to ethane exports and ethane export terminals. 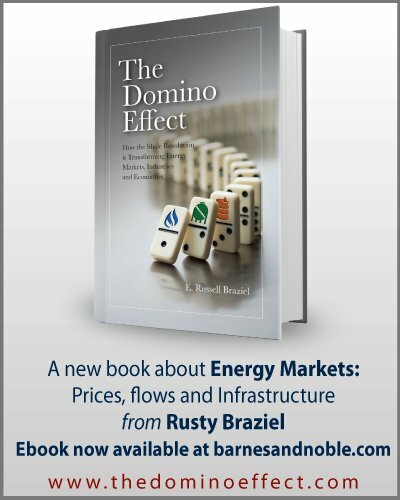 As regular readers of our blogs know, ethane is unique in that it can either be (1) extracted from y-grade (through fractionation) like its purity-product brethren and sold to petrochemical plants, where it is “cracked” to produce ethylene; or (2) “rejected” into the natural gas stream at the gas processing plant and sold (at the price of gas) for its Btu value. Which of these routes any particular molecule of ethane takes depends on a number of things — for example, the price of natural gas versus the price of purity ethane; demand for ethane from ethylene plants (also known as steam crackers), and the availability of NGL pipeline capacity between the production area and fractionation hubs. But, overall, the run-up in U.S. NGL production during the Shale Era spurred the development of a number of new U.S. steam crackers (most of them along the Gulf Coast) and interest from overseas steam crackers in exporting U.S.-sourced ethane to their facilities. 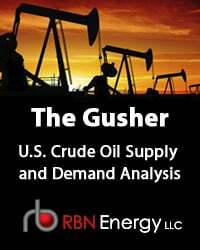 To access the remainder of Send It to Me - Overseas Demand Expansions Key to U.S. Ethane Export Growth you must be logged as a RBN Backstage Pass™ subscriber. 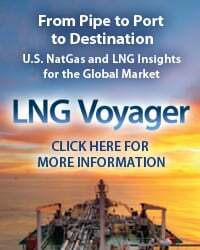 Between Mont Belvieu and the Deep Blue Sea, Part 2- More U.S. LPG Export Capacity on the Way? You Ain’t Seen Nethane Yet—Ethane Exports Will Rise, But Will They Soar?